Towards the east of the Cote d’Azur lies the picturesque coastal town of Nice. Steeped in history and yet with almost unrivalled facilities, Nice is a city of contrasts. The old town lies towards the centre of the city. Here, the narrow, winding streets are full of character, leading to beautiful old churches hidden amongst the quaint houses. One of the most breathtaking is the ‘Basilique Sainte Reparte’, with stunning baroque architecture. The old town is regarded as the centre for culture - art galleries and exhibits offer a wide range of art, from the representational to the abstract, and the frequent markets held in the centre have a range of art and crafts on sale. Also held here are the fruit and vegetable, the flower, and the antique markets. Situated nearby are a whole host of cafes, ice cream parlours, inns and restaurants, selling a variety of cuisines to be enjoyed alongside the unending Mediterranean sunshine. Whether you are looking for a small studio or a luxury penthouse, our portfolio of properties will have your ideal Nice apartment for sale. Parallel to the old town is the ‘Promenade des Anglais’. Here the 19th century promenade traces the outline of the shore, lined with exclusive hotels looking out over the sparkling sea, and leads, ultimately, to the port. The atmosphere is unique, rather like a small village entirely separate from the rest of the city. From one of the many restaurants on the quayside, it is possible to spend hours simply watching the boats bobbing in the harbour and there are a wealth of Nice apartments for sale in this locality. The watercraft are of every size and description, from brightly coloured fishing boats to massive luxurious yachts. The area is also the centre for antique dealers, with an abundance of shops crammed with delights where many bargains are to be found. Right in the centre of the modern city is the ‘Place Massena’. The pedestrianised centre offers the usual range of high street shops as well as a number of galleries and curiosity shops. Surrounded by red brick buildings the Albert I gardens offer an oasis of tranquillity from the bustling centre, with sculpture to be enjoyed from one of the many shady benches. Purchasing an a Nice apartment for sale ensures that you can choose when to visit and gives a relaxing base from which to explore this fabulous area. Around the city centre, hills rise up into the skyline, offering breathtaking panoramas over the city, the surrounding countryside, and out to the Mediterranean Sea. The hill at Cimiez is the most fashionable area of Nice, with the Roman amphitheatre hosting the annual jazz festival. The Roman baths also still remain, remarkably well-preserved, and their history is detailed in the nearby archaeological museum. Matisse lived his last years at Cimiez, and there is also a museum dedicated to his life and works. The hills of Mont-Boron and Mont-Alban are situated a pleasant walk away from the city centre through beautiful Mediterranean landscapes and via beautiful old houses. Once prehistoric sites, their history is detailed in the Terra Amata museum of palaeontology, but now their attraction is the stunning panoramas over the city, drawing famous names such as Elton John. We have several Nice apartments in this area, being the most exclusive area for Nice apartments and villas. Nice is an exceptionally well-planned city, with the residential areas, in the main, tucked away from the bustle of the city centre offering almost village-like atmospheres. 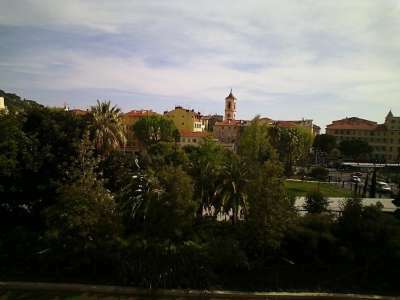 The suburb of Saint-Laurent du Var is one such place, where we have apartments, villas and houses. Though close to the city, its atmosphere is reminiscent of the smaller villages that lie forgotten in the hills of Provence. Parks offer havens of peaceful relaxation, yet all the facilities for modern living are nearby for those buying a Nice apartment or townhouse. The 'Promenade du Paillon' is one such draw, offering cinemas, bowling alleys, theatres, and galleries. The 'Palais des Expositions' and the 'Palais des Congrès' can be found here, as well as the Acropolis - a huge futuristic building which hosts a variety of exhibitions and concerts. Arenas is the newest district of Nice, having sprung up around the international airport, and slightly removed from the city centre. It is primarily the business centre of Nice, containing offices and hotels. Here the architecture is beautifully crafted with a look of the futuristic. Close by is Phoenix Park, a huge greenhouse and the Museum of Asian Arts. Of course, there is always plenty to do in Nice. As well as theatres, cinemas, museums, galleries and restaurants, there are many facilities for the more active. The beaches offer water sports of every description, and the nearby countryside has opportunities to walk, cycle, ride, or even try one of the more adventurous sports such as hang gliding or paracending. There are also five golf courses in the nearby region and, of course, the Alps are barely an hour away, to enjoy skiing and other winter sports. 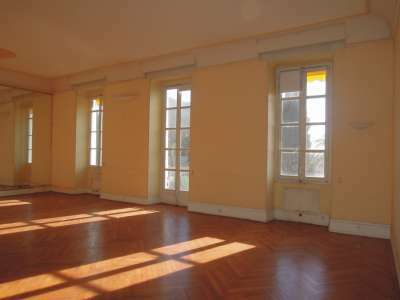 Nice apartments are available for sale for anything between 100,000 EUR to over 4 million EUR and even higher. Due to the large international student population, a good income can be arranged by renting out your Nice apartment for short-term lets during the academic year. This can be done privately or through one of many letting agencies in the Nice area. There is a ‘Golden Rectangle’ bordered by the Gare Nice-Ville to the north, the Promenade des Anglais to the south, Magnan to the west and the Old Town to the east, where property values have been very strong over the past few years. 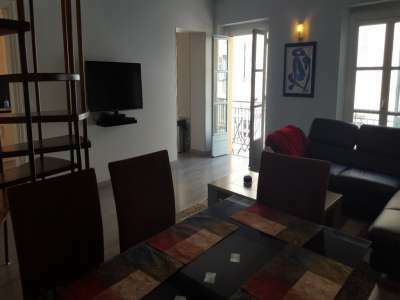 Fabran, to the west of the main urbanisation of Nice, is an up-and-coming area where we have many properties including very nice apartments and villas. Consequently these offer good investment potential for those willing to think into the mid term. There is a strong expatriate community in Nice, with several English and American clubs and groups willing to help you integrate into the local French scene.